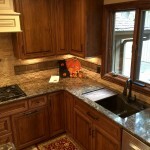 When you are remodeling your home or building a new one, making design decisions is not always an easy process. 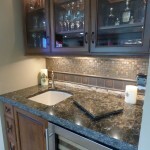 However, this customer is in the industry of building and remodeling homes, and he’s pretty darn good at it too. 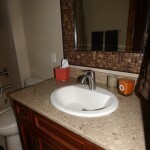 But when it came time to remodel their personal home, the countertop design and color decisions did not come easy. What did they do? 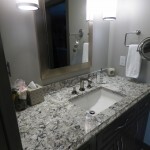 They chose to go with all of the Cambria quartz designs they liked best and fit with the style of their home. The end result is BEAUTIFUL! 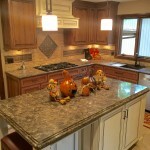 Starting in the kitchen, they went with Cambria Hampshire on the island and perimeter. 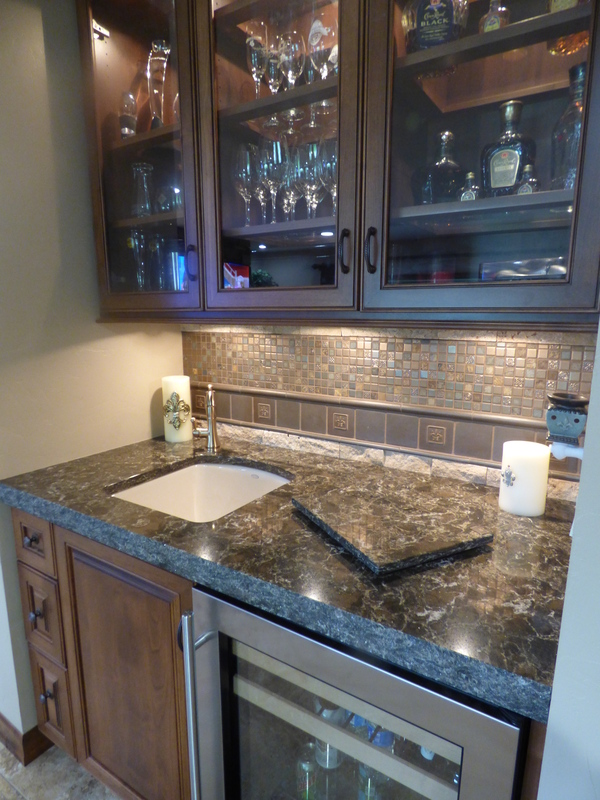 Moving on to the mini wetbar that separates the kitchen and family room, you’ll see a beautiful piece of Cambria Laneshaw. 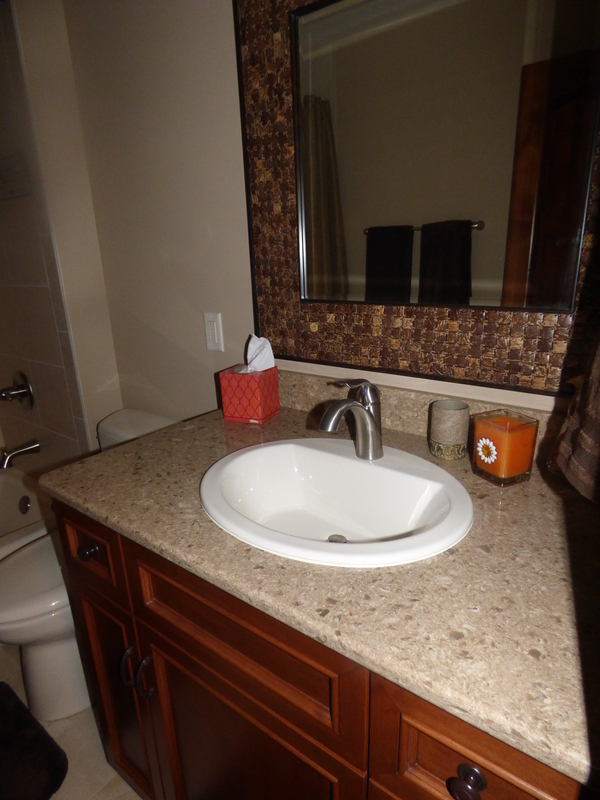 Now, tip toe to the master bedroom. 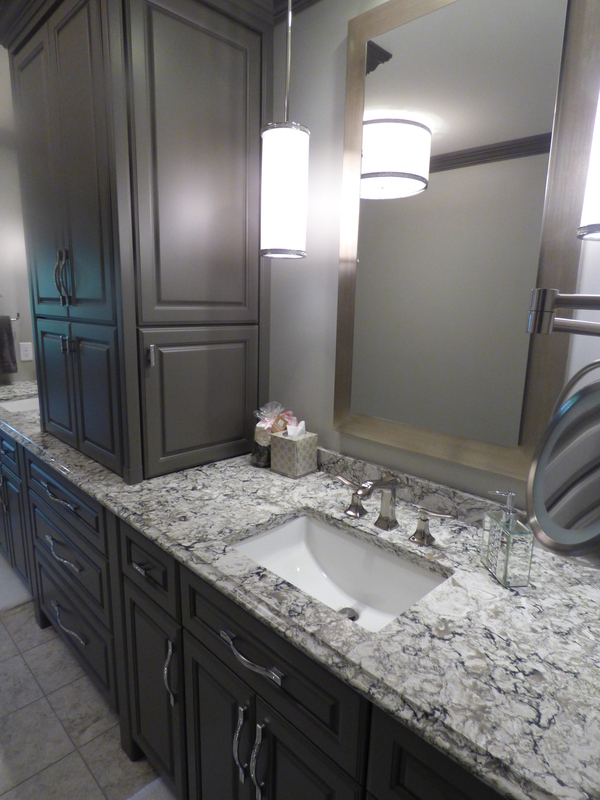 You might find two little Yorkies peeking around the corner, but what will capture your eye is the master bathroom with Cambria Bellingham on the vanity; and Cambria Linwood in the guest bath. When you can’t decide on just one design, go with it all. 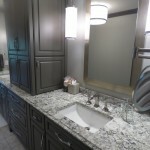 These Cambria designs are beautiful and work great with the customers cabinetry choices in each room. 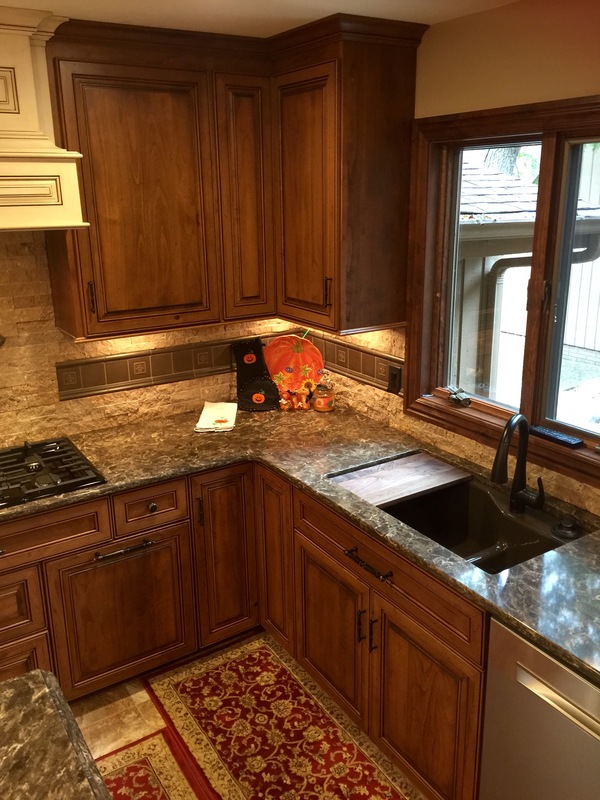 The Stone Center and the Cambria Gallery in Sioux Falls are a great starting place when you are selecting countertops for your new home or remodel project. 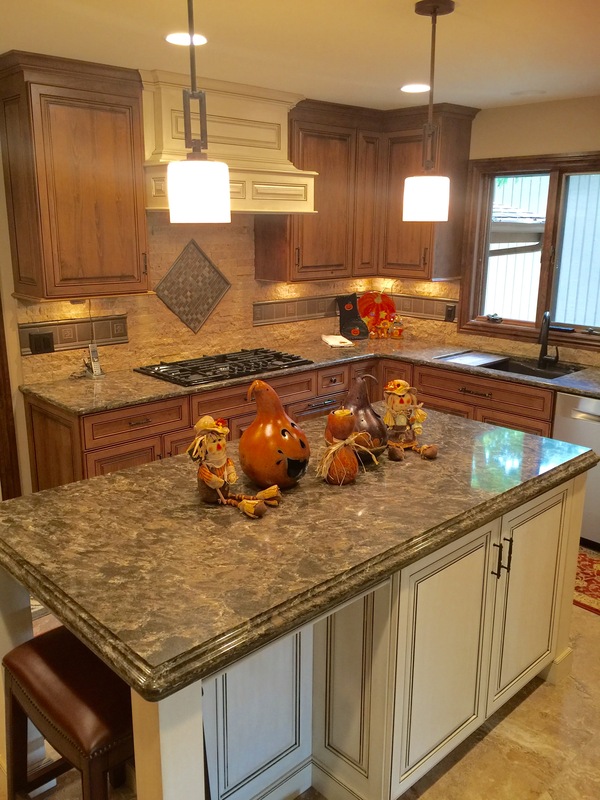 The gallery has more than twenty Cambria quartz designs in full-size slabs; and the Stone Center has all 122 designs available for your viewing. 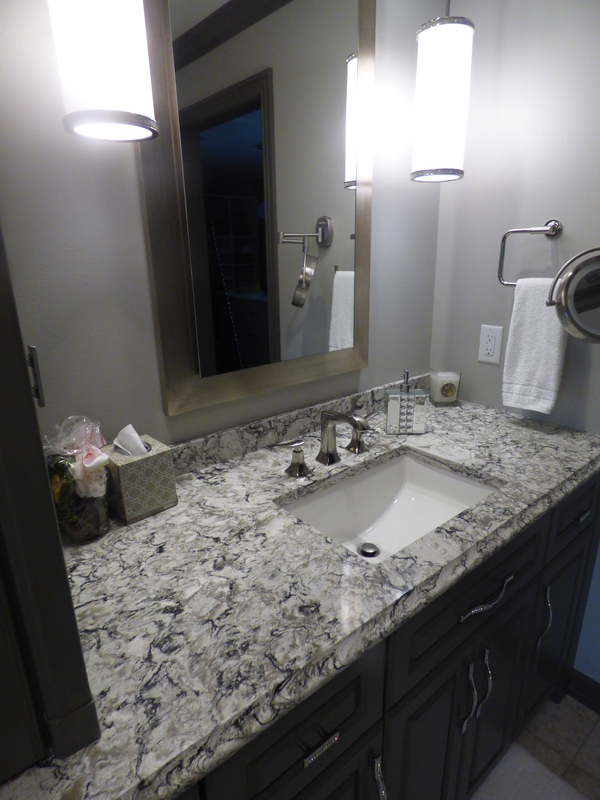 Stop by anytime to see the beauty of Cambria and let one of our designers assist you with your project.